The Ballina CC Salmon Sportif will take place on Sunday 5th August 2018 starting from Ballina at 9.30 am. Hosted by the Ballina Cycling Club the event offers three routes to choose from. 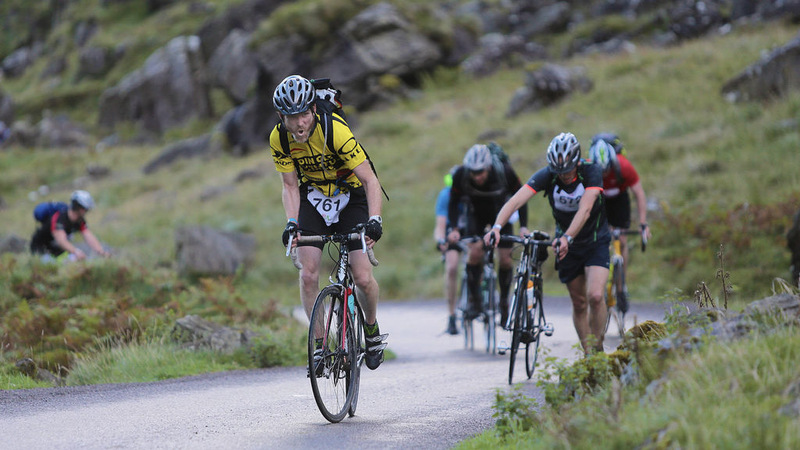 The 50km route starts in Ballina and goes towards Crossmolina and Lahardane, where at the bottom of the Nephin Mountain there will be the food-stop. It will continue then to Lough Conn and Pontoon where participants will head back to Ballina. The 92 Km route starts in Ballina and goes to Crossmolina and Bellacorick where cyclists will head towards Castlebar and Nephin Mountain. Here is a moderate climb. The cycle will continue to Lahardane for the food stop and to Pontoon around Lough Conn where they will turn left towards Ballina again. The 120 km route is more challenging than the others. It follows the same way as the 92km route, but, past Lahardane, cyclists will cycle towards Bofeenaun and go over a sharp short climb. Then they will reach Bofeenaun where they will meet the challenging climb called “the Bofeenaun windy gap”. The route continues towards Castlebar and Ballina again. All money raised will go to the local “Garda Anthony Golden Community Park” in Ballina.